← Has John Kerry Already “Jumped the Shark” Regarding Israel? When I taught ethics and philosophy, the unit on Objectivism was always the toughest to get over to the students because it sounds so darn mean! Think for yourself. Do for yourself. When I have described myself as an Objectivist/Libertarian, I get looks as if I said I was a Dog/Cat. “Objectivist Doctrine” can be dismissive of libertarianism. Fortunately, I learned of libertarianism from the father of my best friend in high school who always had copies of Reason laying around. Yes, we had a bit of “the right-wing hippie” in us, what with our Monty Python records and such (this was in the mid 70s). There was also a goodly portion of the nerd in us, what with our magnetic chess sets and slide rules. The upshot was that we went our own way and so long as no one bothered us, we bothered no one else. When we went to college and got jobs, we figured that we were paying our own way in the world and thereby free. 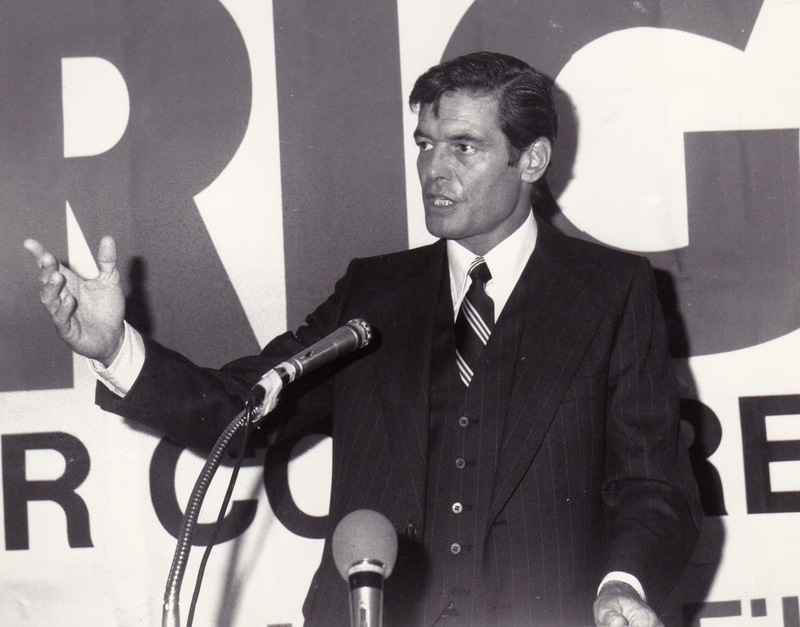 In fact, after I started working for the daily paper, I covered Rep. Phil Crane in the 1980 primary season and liked what he said because he was the Libertarian-Republican. When I joined Jaycees, our creed said that government should be of laws, not men and that economic justice comes from free men and free enterprise. And here comes the slide toward Objectivism. 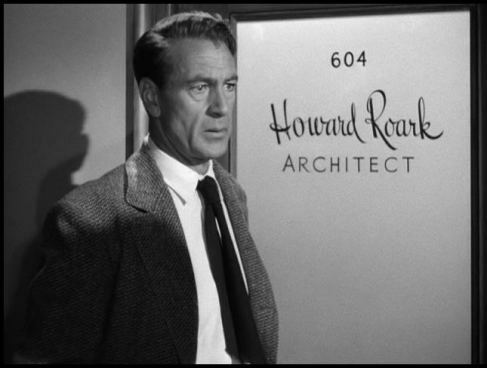 When I saw the film version of The Fountainhead, the totality of Gary Cooper as Howard Roark resonated with me. When he was toiling in the quarry, I recalled unloading trucks for Sears in the summer to pay for college. My father taught me, among many other lessons that have stood me in good stead, that if I wanted something, I had to earn it and if I couldn’t afford it, I didn’t need it. Or, as Dad said of the neighbors, “They don’t pay my rent,” meaning they had no say-so over him. I figure as an Objectivist, I can set my own value for my work, up to my own standards, and do business with whoever will do business with me. As a Libertarian, when I am in my own house, I can read or watch or think what I like and associate with whomever I please. Put those ideas together and you get a speech John Wayne made as Davy Crockett in The Alamo, saying freedom meant you could come and go, buy or sell, as you choose. Yes, I’m a 6th generation Texan (in Florida on a work visa). I don’t see irreconcilable differences between the two philosophies. Instead, I borrow from Bruce Lee‘s philosophy, based on when he studied multiple disciplines such as kung fu, Western boxing, fencing, wrestling and ballroom dancing. His advice was simple. This entry was posted in Politics and tagged Alamo, Ayn Rand, Bruce Lee, Fountainhead, Gary Cooper, Howard Roark, jaycees, John Wayne, libertarian, Monty Python, Objectivism, Phil Crane, Reason magazine, Republicans, Texas. Bookmark the permalink. 1 Response to Conservative? Yes. Libertarian? Yes. Objectivist? Yes. Contradictory? Not really. The oddest things, but not so unexpected, i find about being a libertarian is on occasion being called a socialist or communist by some on the right and a fascist by some (actually more so) on the left. I therefore must be doing something right if I am loved by neither wing of the establishment.